How do I buy a Tutor Doctor Franchise? Tutor Doctor's is a proven in-home tutoring business, rated the number one in-home tutoring franchise worldwide by Entrepreneur magazine. 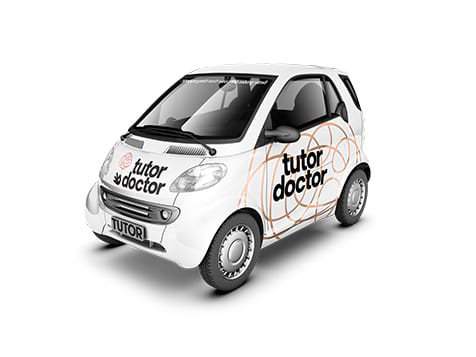 Tutor Doctor offers exclusive territories usually between 75,000–100,000 in population size. Tutor Doctor franchisees receive ongoing access to continually updated systems, tools and technologies that maximize the profitability of the business. To buy a Tutor Doctor requires an initial investment of $60,000 and a total investment of $62,500-100,700. Tutor Doctor has been widely recognized as a leader in the private tutoring industry being ranked the number one in-home tutoring franchise worldwide by Entrepreneur Magazine and winning the Child’s Magazine’s Parents Choice Award in 2010, 2011, and 2013 and the Top 50 Franchises for Minorities, National Minority Franchising Initiative. Open Tutor Doctor in any of these available states: AL, AK, AZ, AR, CO, CT, DE, FL, GA, HI, ID, IL, IN, IA, KS, KY, LA, ME, MD, MA, MI, MN, MS, MO, MT, NE, NV, NH, NJ, NM, NY, NC, ND, OH, OK, OR, PA, RI, SC, SD, TN, TX, UT, VT, VA, WA, WV, WI, WY, DC. As a prominent leader in the multi-billion dollar industry of private tutoring, Tutor Doctor is experiencing one of the fastest growing international expansions of any educational company in the history of franchising. With over 400 locations around the world, Tutor Doctor has changed the lives of 200,000+ people by helping them their academic goals. This is accomplished by utilizing a unique one-to-one tutoring approach that matches students with professional tutors based upon the students' individualized needs. Tutor Doctor's approach to education enables any child of any age to get help on any subject – whether they require remedial attention or academic enrichment. While each year Tutor Doctor has continued to grow at unprecedented rates, it is the commitment to the core philosophy – every child can learn, but not every child learns the same way – that remains the source of Tutor Doctor’s success. Private tutoring is growing by leaps and bounds and it is now the fastest growing segment in the education industry! Today's parents are turning increasingly to tutors to supplement their children's regular school program or to compete for competitive university entrances. Consider this: Over half of the states across America have reduced education funding since 2006. Tutoring has become a prime method for bolstering traditional learning. It is filling a need and offering services that parents feel schools are no longer able to provide. A leading market research firm has forecasted that the global market for private tutoring will reach $128 billion by 2020! Tutor Doctor is fulfilling the high consumer demand for convenient and effective private tutoring services with a unique, customized approach to teaching. Initial training – hundreds of hours of in-class and online training. Ongoing support – a team of dedicated Tutor Doctor personnel will help you build the business of your dreams. Marketing support – proven lead generation strategies that make the phone ring and quickly establish Tutor Doctor within your local community. If you're a motivated, people-oriented person who wants to own a business that enables you to have more flexibility in your life, work from home, make a difference in your customers' lives and have control over your income, then we want to talk to you. Fill out the form and we'll be in touch!